Big Bend National Park is an isolated, peaceful area you will never forget. 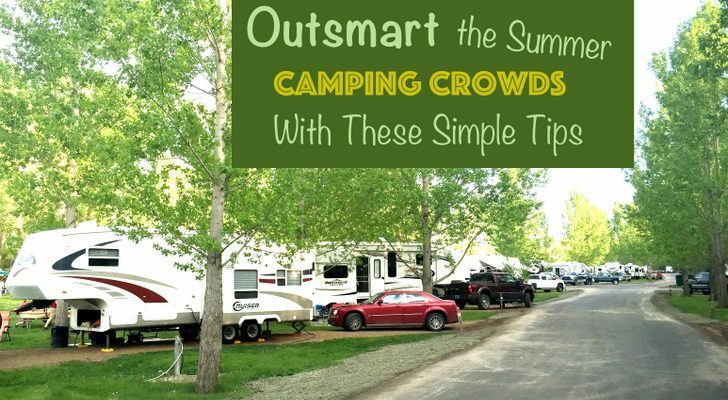 Here's how to get the most out of your trip to this park. With beautiful mountain peaks and a spectacular river cutting through steep canyons, Big Bend National Park is an isolated, peaceful area you will never forget. Located in southwest Texas, Big Bend is not situated along any highway for an easy stop; you have to make it a point to get there, so once you’re there be sure to make the most out of it. Read below for ten unique and fun things to do while you’re exploring this unique national park. We always seek out hot springs on our travels, so we’ve been to quite a few, but the pool in Big Bend is at the top of our list. 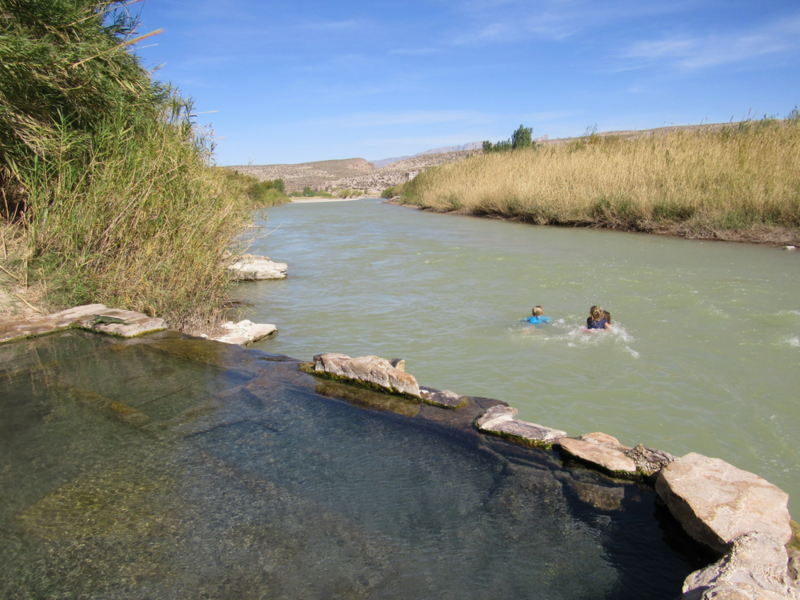 This hot spring pool is along the Rio Grande and the hot water overflows the pool into the adjacent river. 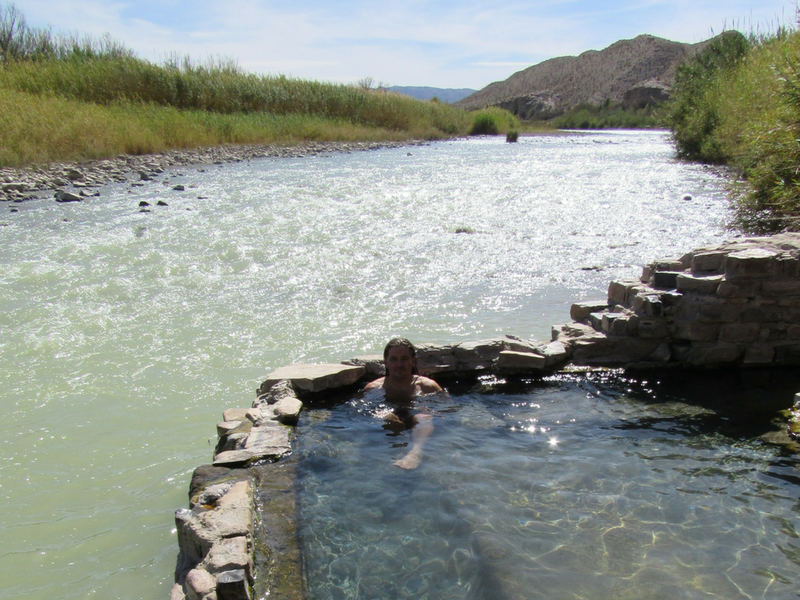 When the water of the river is at the right depth, you can move from the hot water of the hot spring pool to the refreshing water of the Rio Grande. Take a float down the river a ways and then climb out and walk the trail back to the pool. Please be aware that floating or swimming in the river may be advised against for safety reasons. If you can camp without hookups, there are several primitive roadside campsites in Big Bend that are accessible to RVs (less than 30 feet) and trailers (less than 25 feet). We camped at one of these for a while in the park and highly recommend it as it’s a great way to take in the quiet beauty of the area. Permits are issued at any visitor center. They are inexpensive and last for up to fourteen days, but they can be in high demand so be sure to arrive early in the day to request one. This historic building has an exhibit that tells the story of the farming and trading community that sprang up in the area in the early 1900s. It also features the Big Bend Natural History Association bookstore and a small general store. Spotting, listening to and identifying the birds at Big Bend National Park will be one of the top highlights of your visit. With a diversity of birds throughout the year due to migratory patterns, the park is a paradise for birders and also a great place for the casual bird watcher. You can spot birds throughout the park while site seeing and hiking, but one of our top recommendations for seeing them is at one of the primitive campsites. Arrive back to your site just before dark, set up your camp chairs outside, and wait for the birds to arrive back to their nests. We happened to be camping right next to a thicket and the sites and sounds of this magical experience are something we will never forget. 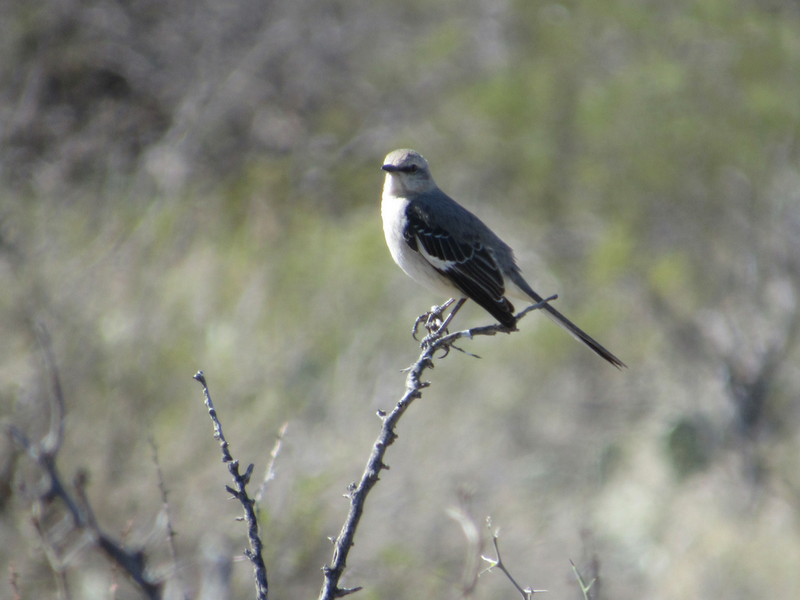 Other recommended spots around the park to see birds include Santa Elena Canyon, Blue Creek, and Sam Nail Ranch. 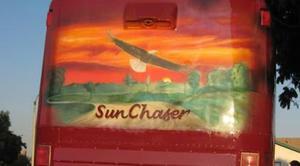 Bird books are sold in the visitor centers or come prepared with your own. There are many day hikes in Big Bend National Park offering many different experiences, but if we can recommend just one it would be the Lost Mine Trail. Along this trail, you will find stunning views and a diversity of plants and animals. 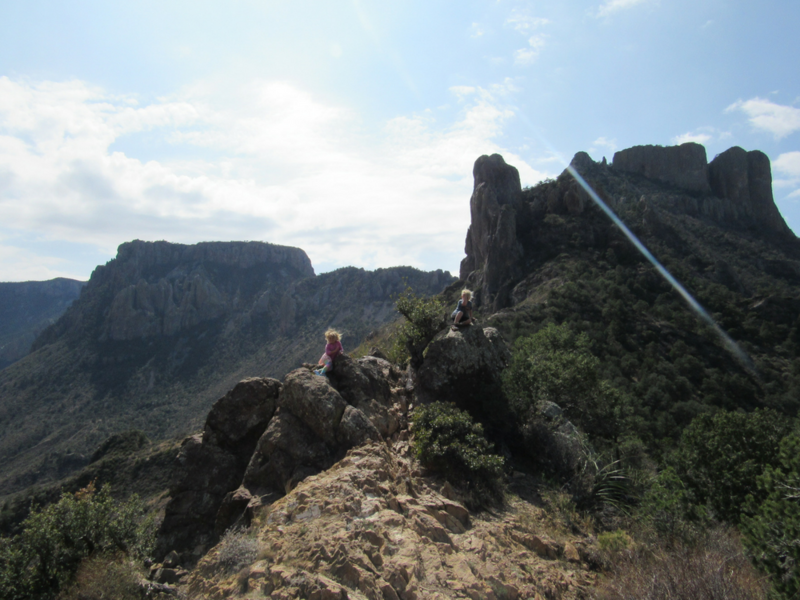 It’s a great way to experience the Chisos Mountains in a moderate but rewarding hike. The Mountain View Restaurant, located in the Chisos Mountains Lodge, is a great place to sit down and eat a meal or even just stop for a drink. Sitting out on the dining patio of the restaurant and taking in the views of the Chiso Basin is a fun way to appreciate this unique part of the country. There are many ways to enjoy the Rio Grande and we recommend doing as many of them as possible as this river is a beautiful and special part of the park. 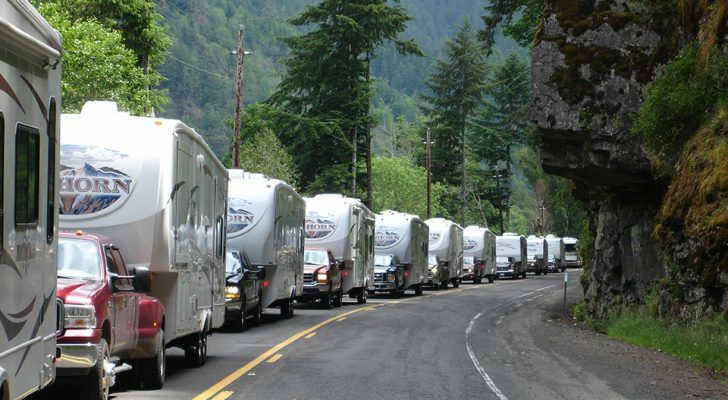 There are half-day floats as well as multi-day excursions that take you through miles of canyons up to 1,500 feet deep. 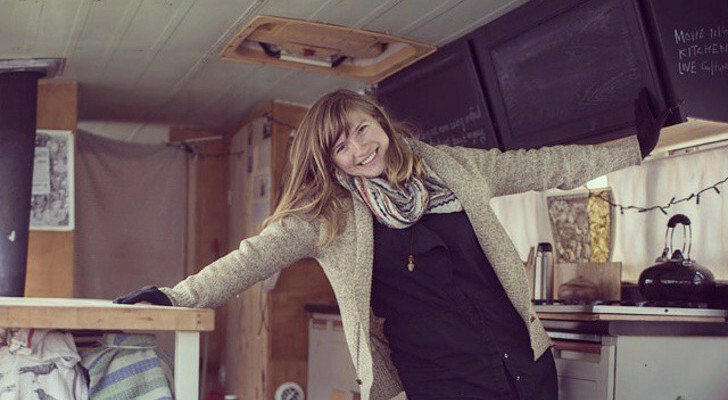 Even if you are not looking to get out on the river, there are still many ways to enjoy it. One of the easiest ways is to do a short hike to the river’s bank and then just sit on the bank and watch the water go by. 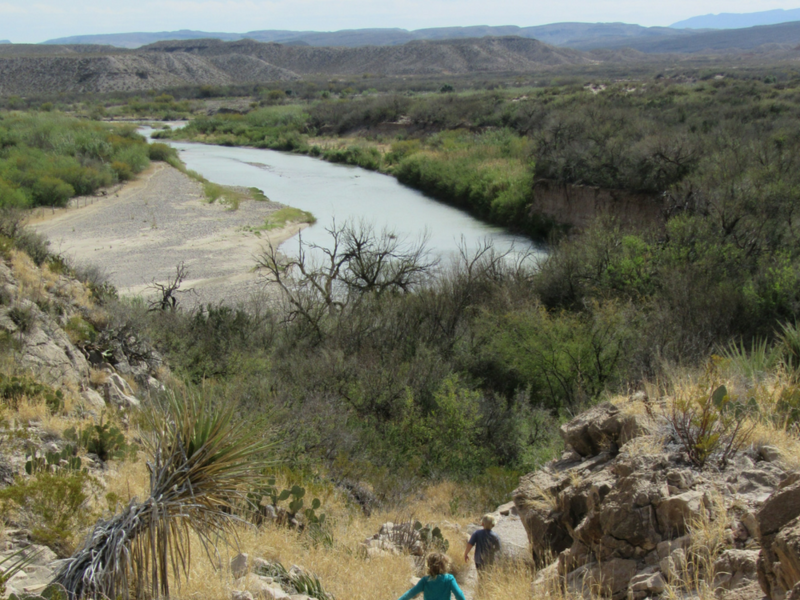 The Boquillas Canyon Trail is a short 1.4-mile hike that will take you up to a cliff overlooking the Rio Grande and then down to the river’s edge where the canyon walls meet the water. 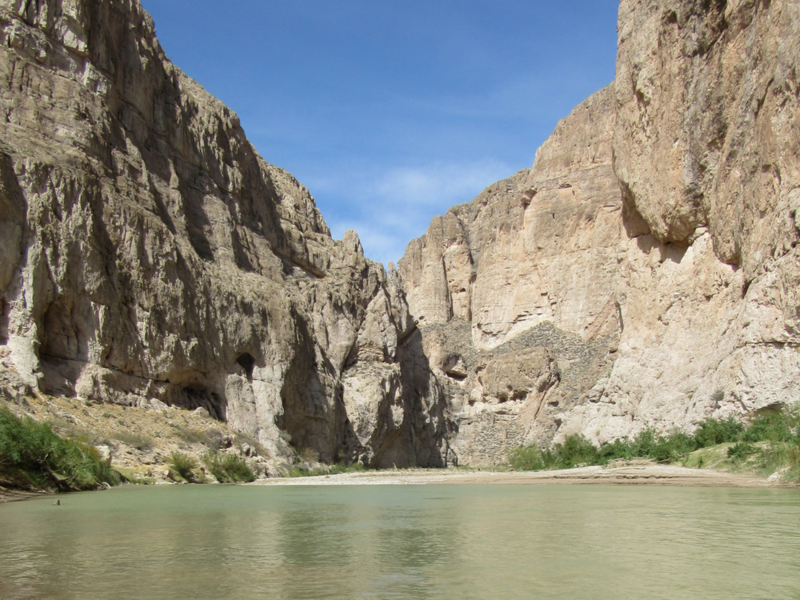 The Santa Elena Canyon Trail is another short trail with spectacular river and canyon views. Hike the trail and then stop and enjoy this amazing area of the park. The Fossil Discovery Exhibit located in Big Bend National Park is a great place to learn about the history of the area and the plants and animals that lived there. 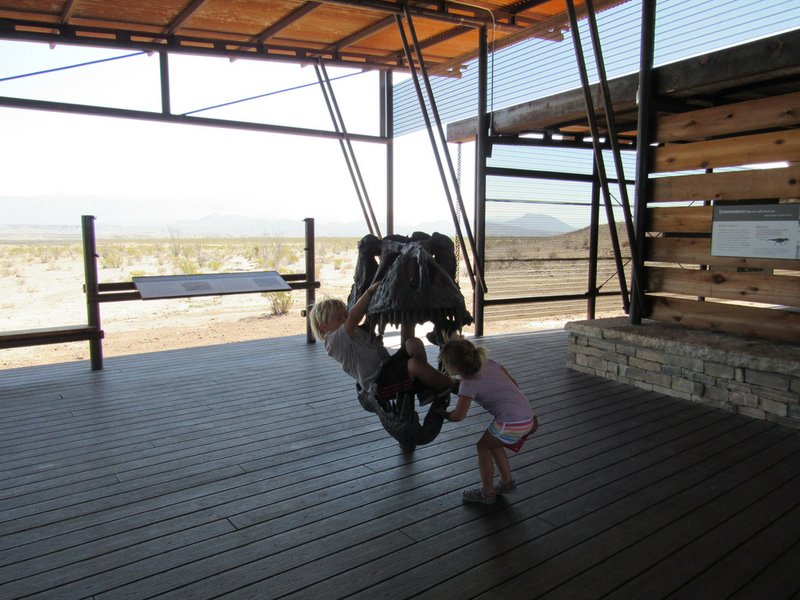 In the open air building, you’ll find fossil specimens, colorful illustrations, a shaded picnic area, and even fossil-themed climbing structures for the kids. 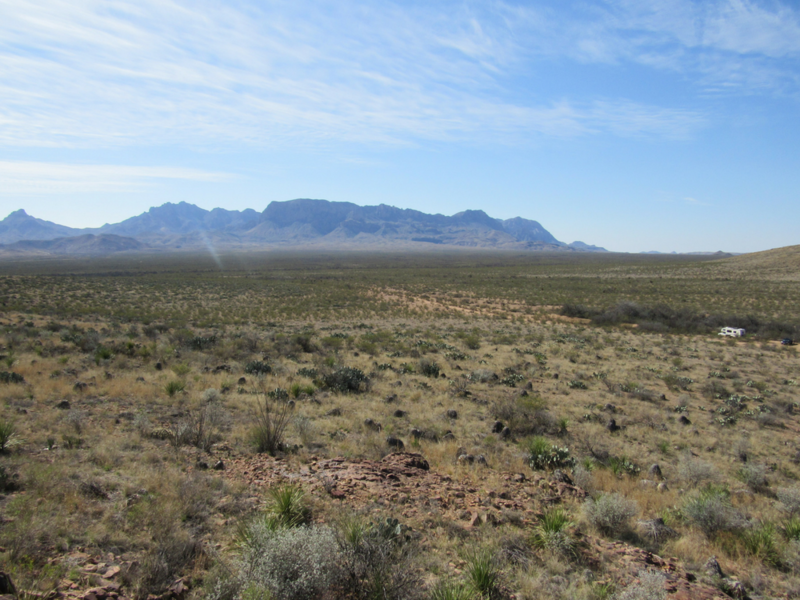 Big Bend is a pretty big park as national parks go, and due to its remoteness is much less busy than most other parks. 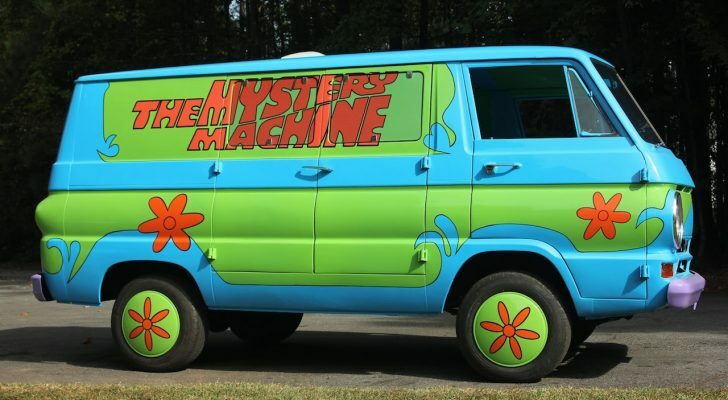 This means less traffic on the roads! Its one of the few national parks we’ve been to where we’ve truly felt like we could take our time and enjoy the views while driving through the park. Big Bend National Park is known to have the least light pollution of any other National Park unit in the lower 48 states. This makes it an ideal spot to stay up late and stargaze. You may even see the Milky Way! Although any campground in the park will give you the opportunity to take in the nighttime show, camping in a primitive spot means you won’t have to worry about your neighbor’s lights or noises getting in the way of this once in a lifetime experience. There you have it! 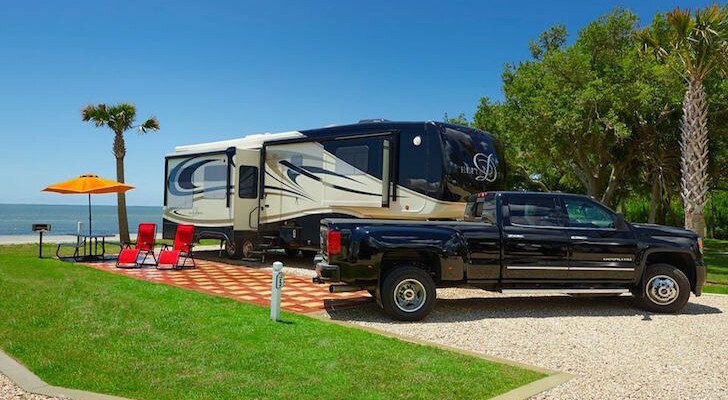 Now put Big Bend National Park on your route for this year and enjoy everything it has to offer. My son and I visited Big Bend in the summer of 2007. 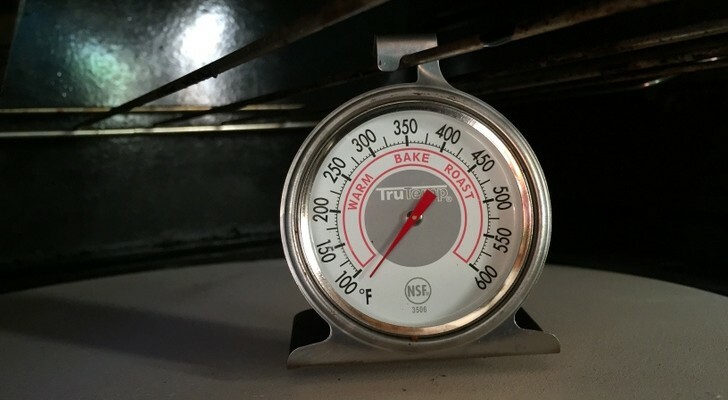 I wanted him to experience the true desert and when the truck outside thermometer hit 114F, we figured we were there! When the wind blew it was like being in a blast furnace and the feeling of desolate isolation can almost be overwhelming at times! Do yourself a favor and read one of several books on settlers of the Big Bend area like “Beneath the Window” by Patricia Wilson Clothier before you go. 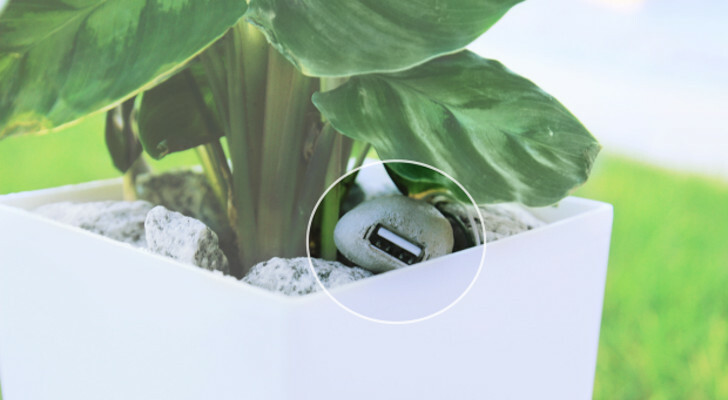 How they survived in such a harsh isolated environment is amazing. In addition to extreme heat in the summer, another consideration is being aware of potential problems with the isolated proximity to the border. We’ve visited many National Parks, but Big Bend will always be one of our favorites!